One of the main beers I've had my eyes on was Phillips' Wheat King Hefe. 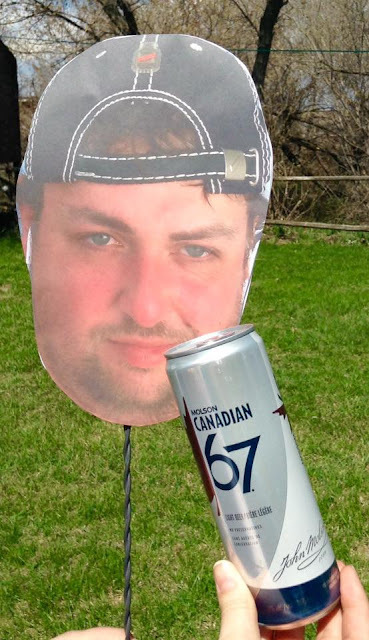 Just imagine how popular it would be in Brandon if Phillips brought the beer to Manitoba. Wheat ales are pretty damned popular now days with Rickard's White Shock Top on tap at essentially every licensed establishment with draught in town. 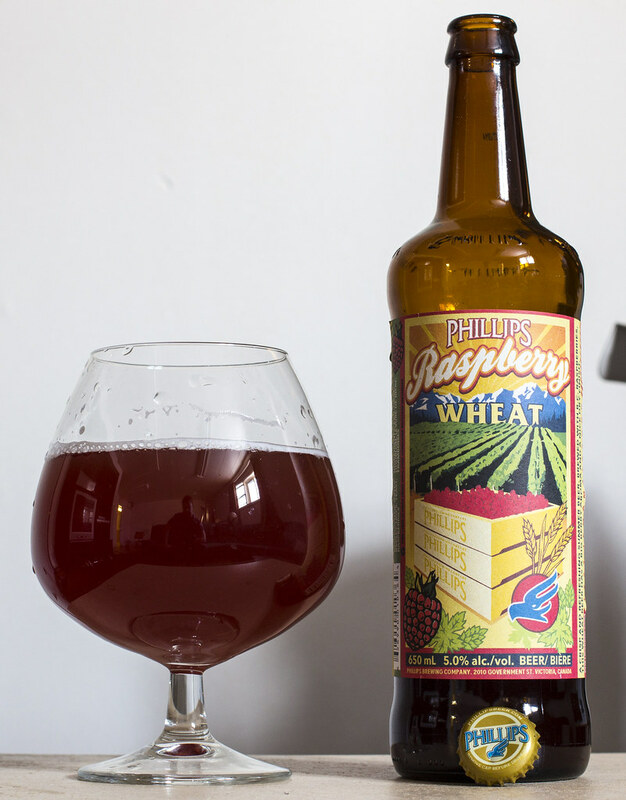 I picked up a bottle of Phillips' Raspberry Wheat when I was job training back in the summer. I keep forgetting to review it - actually more like I prolonged reviewing it because I just wanted to drink it. Now's the time.. Appearance: The first thing you notice about this raspberry wheat ale is that it's overly ruby red. 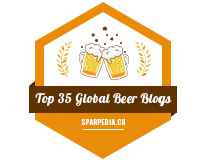 It's one of those beers you just know it's going to be a fruity beer. It's a ruby red with a mahogany brown hue to it. Minimal head glacing the side of the glass - a light beige at that. Aroma: Raspberry juice, sugar - it reminds me more of Ocean Spray than a wheat ale. There's notes of yeast and bread, aaaand that's essentially it. I don't know if someone actually replaced the contents with Ocean Spray. Taste: Sweet right at the beginning, reminiscent of raspberry juice. After the sweetness dies down, there's not much else other than that. There's a bit of a sugary lingering feeling on the tongue, some tartness. No noticeable taste of hops. Slightly grainy, not that yeasty or bready. Very much a raspberry centric wheat ale.